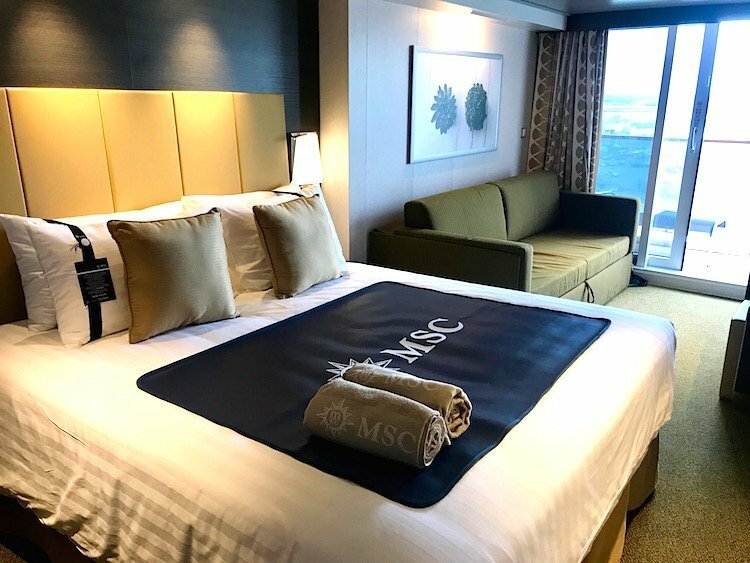 The Travel Expert's Review of MSC Bellissima - What Is She Really Like? Shop till you drop on the promenade of dreams, wine and dine in one of the 12 different dining venues, let the kids enjoy the amazing aquapark and sit back and enjoy Cirque du Soleil! Check out my review of MSC Bellissima and get planning your next cruise holiday. 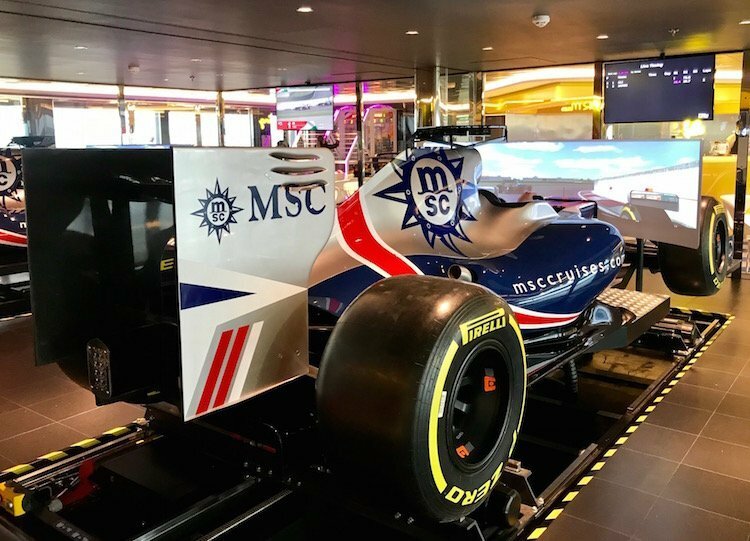 MSC are renowned for their lavish launch parties. I was fortunate to be at the launch of MSC Seaview last year and it was a wonderful event. So when the invitation arrived to the launch of MSC Bellissima in Southampton, it was the quickest RSVP I ever made. It was MSC’s first cruise launch in the UK and the largest cruise ship ever to be christened in Southampton. It was going to be a great weekend and I wasn’t going to miss it for the world. We flew directly into Southampton and transferred quickly to the port and straight on to the ship. The first thing that I noticed was the massive LED arched ceiling that lit up the main promenade. The promenade is impressive in it’s own right, but I was blown away when I saw the 80 meter LED dome overhead. This covers the entire ceiling and changes images like a TV screen. 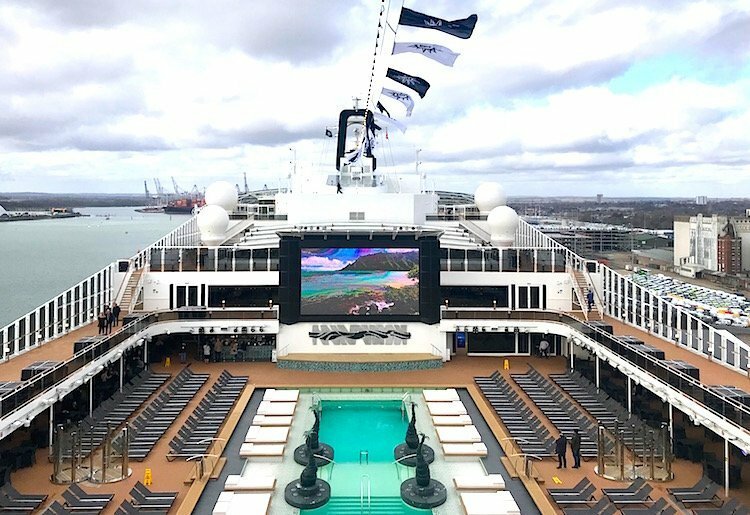 Depending on the mood MSC Bellissima is trying to create, it can transmit sunrises, starry skies, or even live sporting events. This really is the hub of the ship and created a great first impression as soon as I stepped on board. While my luggage was being transferred to my stateroom, I wandered along the promenade, popping in and out of the various shops, bars and restaurants. 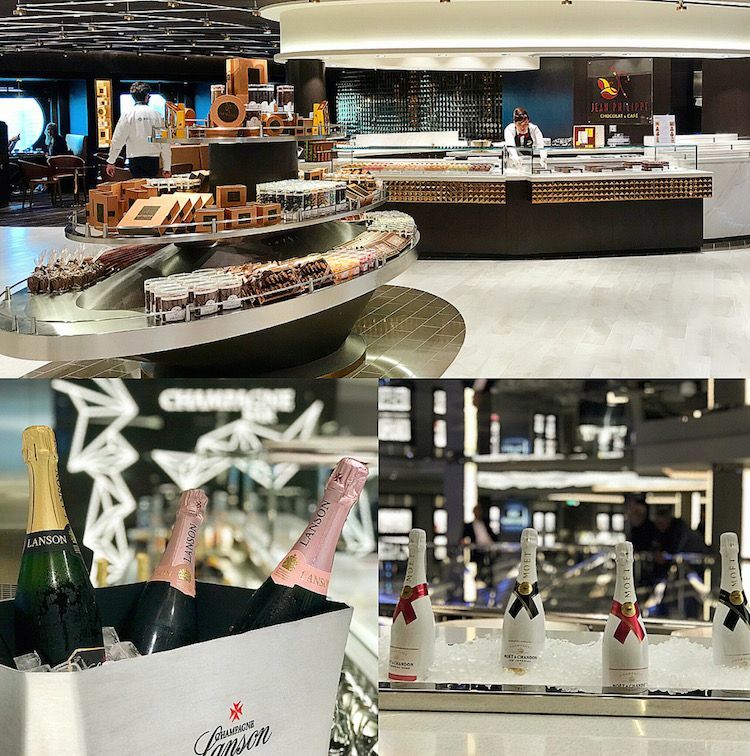 I enjoyed a nice glass of bubbly in the champagne bar, followed by some tasty treats in the Jean-Philippe Maury Chocolaterie and Chocolate Bar. Incidentally there are 20 varieties of champagne in the champagne bar and 91 different products in the chocolate shop – luckily I was only on board for two days! My balcony stateroom was spacious, nicely furnished and was one of the many interconnecting staterooms on board. 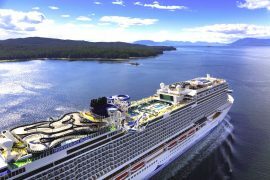 MSC Cruises are a family owned cruise line and cater extremely well for families. As well as interconnecting rooms, there are 175 family cabins on board which I was really impressed with. They have bunk beds for the kids and also have the option of interconnecting. They cater well for groups or multi-generation families too, with cabins that can be clustered together for groups of ten people. 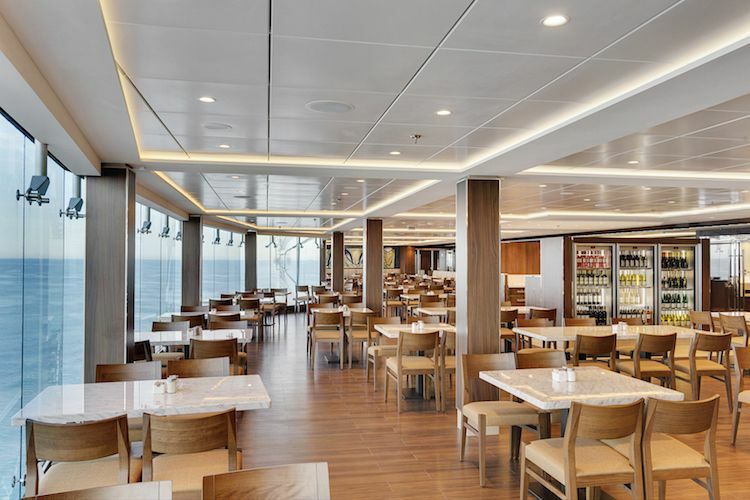 MSC Bellissima also has it’s own ‘Yacht Club’. This has a private club feel, with luxurious suites, a 24 hour butler service and separate dining and pool areas. Top Tip: Over half of the staterooms on MSC Bellissima have balconies, so makes sure to enquire about an upgrade to a balcony stateroom when booking, it might be a lot less than you think. Before attempting to navigate my way to a restaurant for lunch, I decided to ask Zoe, the personal assistant in my cabin, for help. Similar to Amazon’s Alexa, Zoe can speak seven languages and answer over 800 of the most commonly asked questions. Zoe looks like a portable speaker and is available in all cabins on MSC Bellissima. Zoe’s main function is to suggest activities and give advice about activities on board and how to book them. The technology is incredible and I have no doubt that in time, we won’t want to cruise without her. Unfortunately while I was on board, all she wanted to do was turn on and off the TV! To be fair to MSC, they have ground-breaking technology on board. I downloaded the MSC for Me app before I arrived, which allows mobile check-in and credit card registration, so once I got on board I was ready to shop, incidentally there are 13 different shops with over 200 brands on board! The app also allows you to check daily events, book shows, excursions and make restaurant reservations. 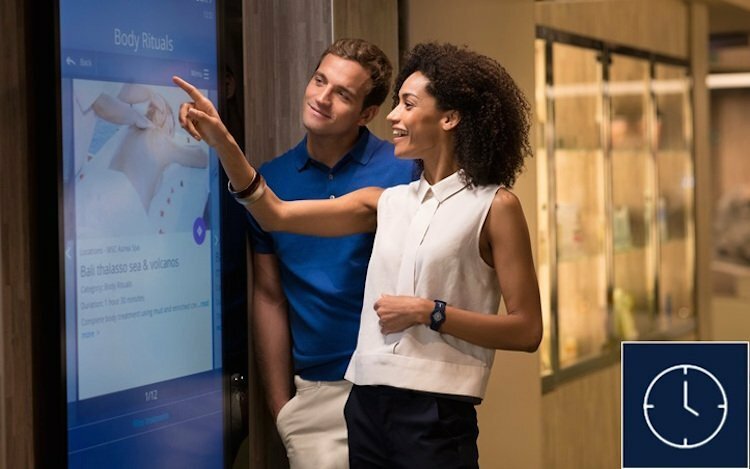 Navigating a large cruise ship can be daunting, but there is a digital way-finder on the app, as well as interactive screens located all over the ship, so it is almost impossible to loose your way. Another favourite of mine is the messaging facility. You can message your partner or child via the app, without using WiFi. You can also locate them too, so if your teenager, or partner, goes missing for a few hours, you can check exactly where they are on the ship with the MSC for Me app. This incredible use of technology extends to the kids clubs too. A modern take on arts and crafts – MSC have their own 3D printer. Children can design objects using computers and print 3D versions to take home as souvenirs. When I couldn’t manage to get restaurant tips from Zoe, I popped back down to the promenade and asked one of the many staff for help. If you don’t fancy using the MSC for Me app, or the interactive screens on board, there is always someone available to help. 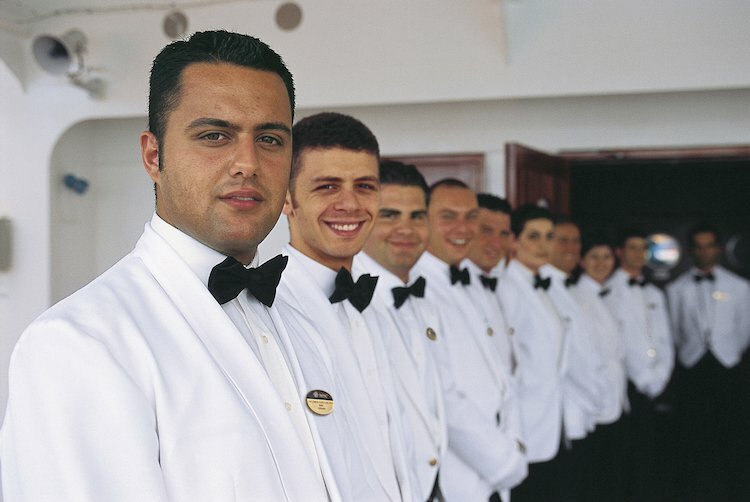 There is a crew member for every 2.9 passengers on board! I was advised by one of the friendly staff, to try some of the tastings in the speciality dining restaurants, so I duly obliged. 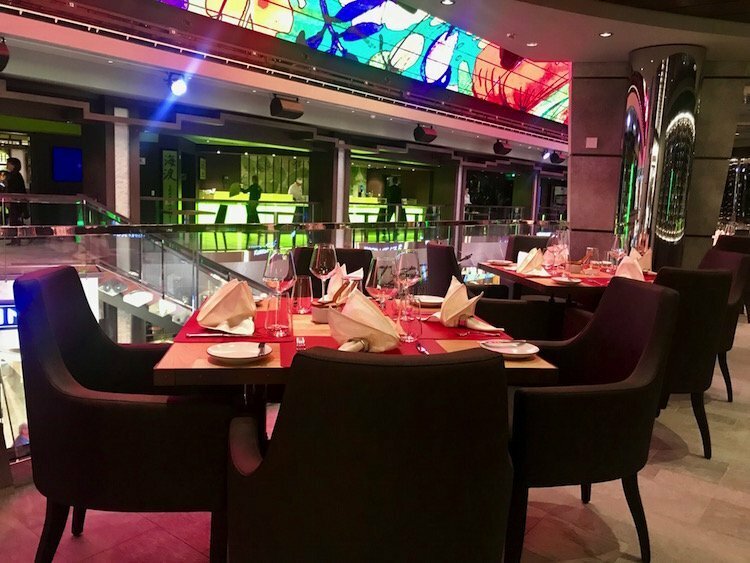 MSC Bellissima has 12 different dining venues, including Hola! the tapas bar from 2* Michelin Star chef Ramón Freixa. 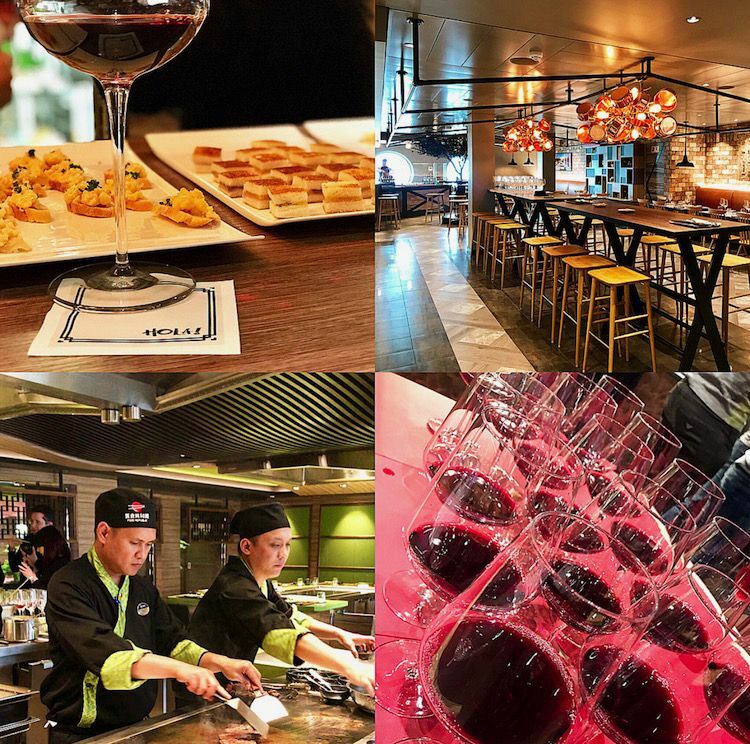 If tapas are not your thing, you can try Kaito Teppanyaki & Sushi bar, the American steakhouse Butcher’s Cut or L’atelier Bistrot, the French bistro. Many of these have outside tables with views over the promenade, not exactly sea-views, but a great place to people watch. Each one was better than the next. I literally had to be dragged away from the Sushi bar, the freshly made Californian rolls with pickled ginger and wasabi were divine! I had fillet steak in the Teppanyaki bar and in the Butcher’s Cut Restaurant, both were delicious. I lost count at the amount of times I went back for ‘seconds’! The restaurant I was most looking forward to, Hola, the tapas restaurant, was probably my least favourite. I liked the décor and ambiance but I felt the offerings in the other restaurants were better. However, the free flowing Baron de Ley, one of my favourite Spanish wines, kept me there longer than I should! As well as the speciality dining, there are three main restaurants and a fabulous buffet restaurant. I was particularly impressed with the Marketplace buffet. The choice of fruit, cereals, breads and hot food was excellent. I loved the live cooking stations and had a hot breakfast with a freshly cooked omelette on both mornings! Dinner in the main dining room was good too. I love the way the Italians serve four small courses, rather than over load your plate with one large main course. I know this may not be to everyone’s taste, but I like to dine that way. I had a delicious lamb cutlet on the first night and homemade pumpkin ravioli and an Angus beef fillet on the second night. The desserts were particularly good too – and I’m not normally a big dessert fan. Back to my first day! I was only on board a few hours and I was already loving MSC Bellissima. I hadn’t ventured very far at this stage, I found it hard to tear myself away from the main promenade, the copious amounts of Baron de Ley and the fabulous food tastings probably helped! 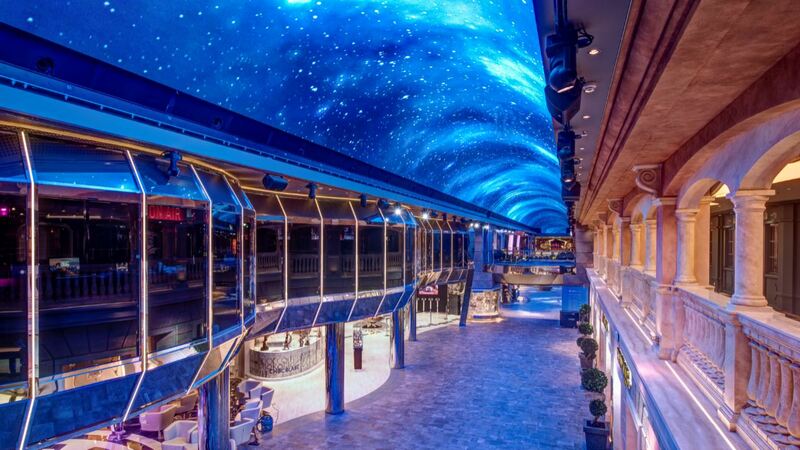 The promenade is definitely the hub of the ship and was also my favourite part. I usually prefer outdoor areas on cruise ships, in fact I usually head straight for the pool deck, but having such a magnificent indoor promenade is such an advantage on a cruise ship, as pool decks can be crowded. Of course this would also be extremely beneficial if travelling during the winter time, or in poor weather conditions. A few hours later, I felt it was about time I took a look outside…. I went straight for the Atmosphere pool deck. 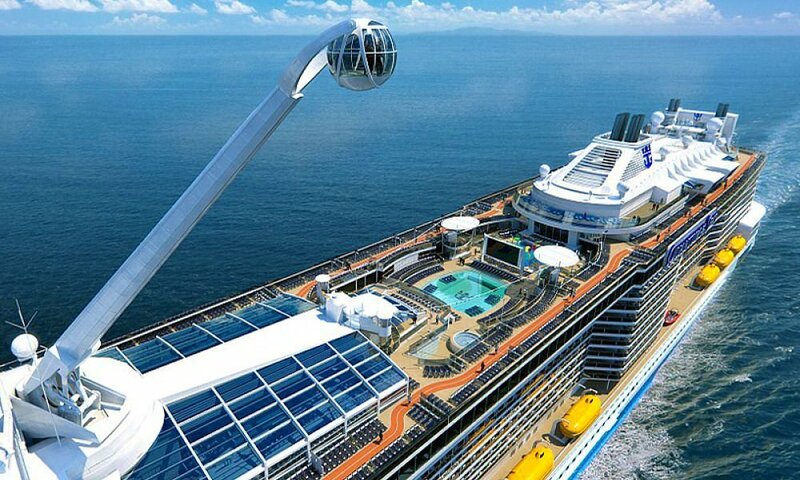 With a 25-meter pool, it is the largest pool area on the ship. It is beautifully designed with double sized pool beds and overall it felt quite sophisticated, not like a typical pool deck. It is also illuminated at night time and shows outdoor movies on the big screen. I rambled around the indoor pool and solarium too, which has more comfy loungers, jacuzzis and a retractable roof. I found another small aft pool, which I can only assume is great for sundowners when you are at sea. It also transforms into a dance space at night time. Like all MSC cruise ships, kids have their own pool area. 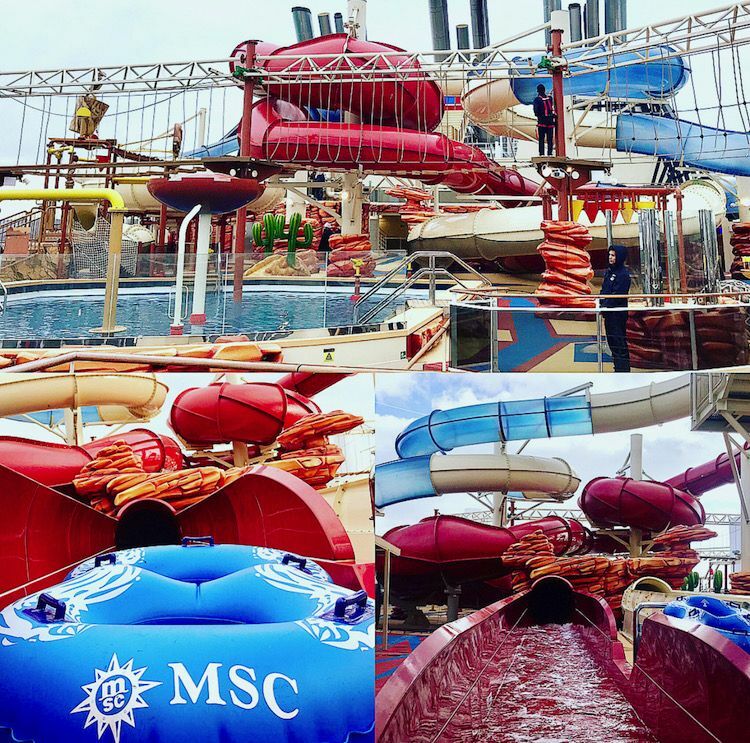 On MSC Bellissima, they have a Grand Canyon themed Waterpark, with three large slides, a splash pool and a rope bridge that crosses the entire deck, 200 feet above the water. I know if I had my two (Luke & Alex, ages 11 and 8) with me, they would spend the day here! There is a huge kids area indoors too, with separate rooms for different ages, including a baby room and a teen zone. MSC have teamed up with LEGO to offer two dedicated LEGO rooms and a baby room which was designed by Chicco. I love that the teens clubs are split into two age groups, 12 – 14 and 15 -17, let’s face it a 17 year old doesn’t want to hang around with a 12 year old. The teens also area serves as a cinema, gaming room and a disco and is fully equipped with the latest games consoles. There is also a multi-sports court and a TV studio that shows live football games. I was really impressed with the Sportsplex and Leisure Centre on MSC Bellissima. There is a bowling alley, two Formula 1 simulators and a Virtual Reality Maze, which allows you to immerse yourself into games such as Assassin’s Creed and Rabbids, in full 4K definition. Some of my colleagues tried this and were really impressed. I am sure if I managed to tear my son away from the pool deck, he would spend the rest of his time here. MSC Bellissima boasts 210 activities on board each week! I wondered how difficult it must be to get the kids to get off the ship, when you arrive in port! Note, some of these activities incur extra charges. Now that you know how well the kids are well looked after, I should tell you what is on board for adults to enjoy! One of the biggest draws are the two Cirque du Soleil shows, that can not be seen anywhere else in the world. I saw a taster of what is in store and it was spectacular. It was my first time to see Cirque du Soleil and I loved it, I only wished I could have seen a full show. MSC built a specific auditorium for it’s Cirque du Soleil shows, with a 360 degree rotating stage and 40 meter long LED screens. Note there is an additional charge for Cirque du Soleil and it needs to be booked in advance. 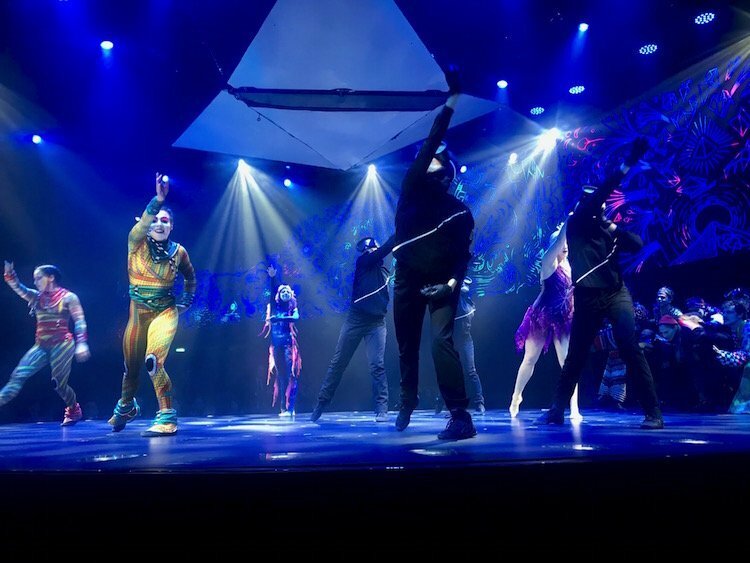 If Cirque du Soleil is not your thing, don’t worry, there are six different broadway style shows to choose from. There are also 40 hours of live music each day and twenty different bars and lounges to choose from. Many of the bars and lounges are located close to atrium of the ship, where the dazzling set of Swarovski crystal staircases are located. These are a feature on all MSC cruise ships and are considered a symbol of sophistication and a focal point of the ship. There are 96 steps in main staircase ( there are actually 6 Swarovski staircases on board ) and each step has a staggering 640 Swarovski crystals! Ah sure I had to pose for a photo! If you really want to push the boat out (excuse the pun) you can show off your skills at the nightly karaoke, or party late into the night in one of the 11 different dancing areas. I sampled one of these on our first night, when the multi-sports court which transformed into a night-club for a white party! After a late night or hectic day in port, you can treat yourself to one of the many spa treatments in the MSC Aurea Spa. This massive Balinese spa offers 20 different body treatments, 26 facials, 21 massages and 22 beauty services! 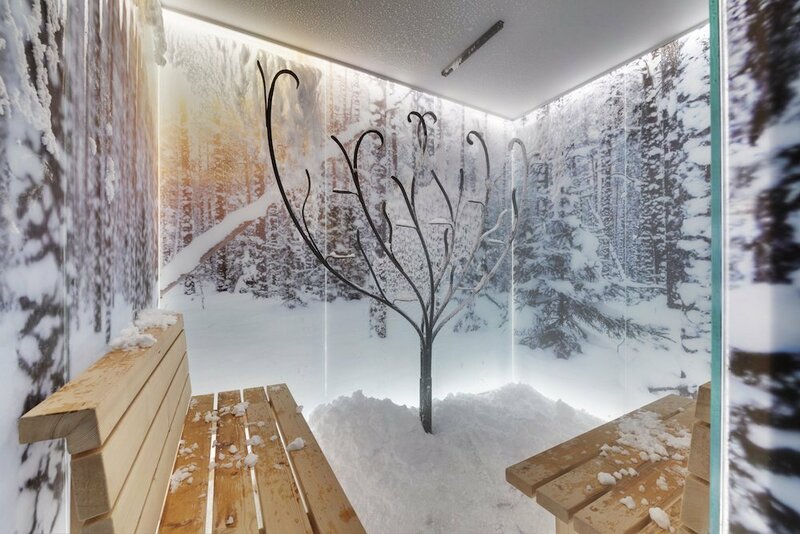 There is a Thalasso room, solarium and a thermal area too – suffice to say you could easily spend the day here! 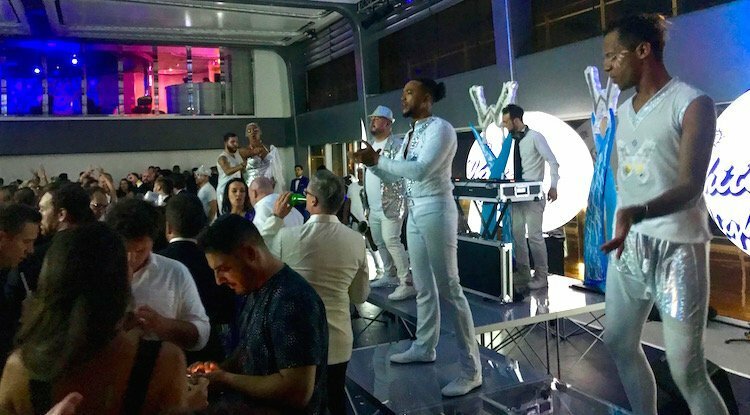 The Christening ceremony took place on our second night, in a purpose built marquee, adjacent to MSC Bellissima. Everyone dressed in black-tie, champagne was flowing and the glamorous Holly Willoughby was our host. Andrea and Mateo Bocelli opened the ceremony with their stunning duet, ‘Fall on Me’ – I was in heaven! Unfortunately my euphoria was short lived. The weather changed dramatically and gale force winds howled outside. The ceremony had to be curtailed and we had to leave the marquee and get back on to the ship. However, in true MSC fashion, they didn’t let that cramp their style. 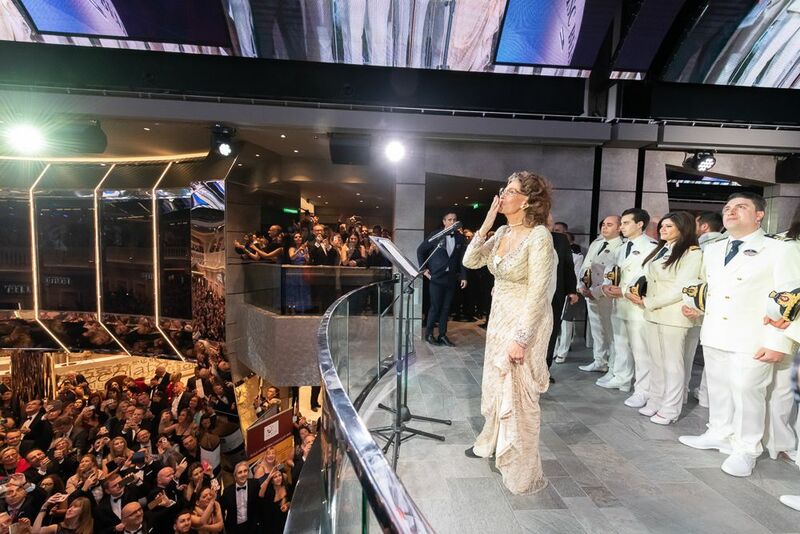 Holly Willoughby returned and introduced Sophia Loren, the godmother of all of MSC’s cruise ships to christen MSC Bellissima. We gathered together in the promenade and the LED screen transported images of the large champagne bottle, smashing against the bow of the ship. And just like that, MSC Bellissima was christened! So MSC have done it again, they have built another outstanding ship that I was really impressed with. After seeing MSC Seaview I didn’t think Bellissima would give me the WOW factor, but it did. Many have asked me which ship I preferred and my gut reaction would be MSC Seaview, but only because it has more outdoor space. 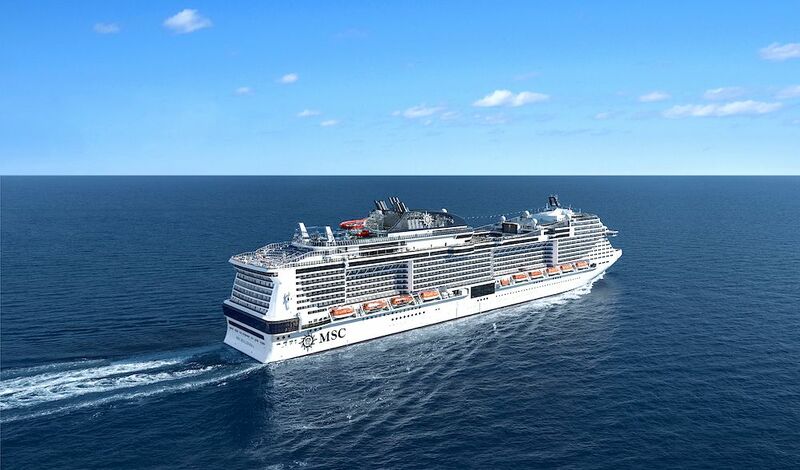 MSC Bellissima and its sister ship MSC Meraviglia were designed as ‘ships for all seasons’, while MSC Seaview and MSC Seaside were made to ‘follow the sun’. Although the facilities and décor is similar, the main differences are in the outdoor space on Seaview and the promenade on Bellissima. There is no doubt if you are cruising during the winter, or to Northern Europe, where weather may not be as hot as the Caribbean, MSC Bellissima would be my ship of choice. 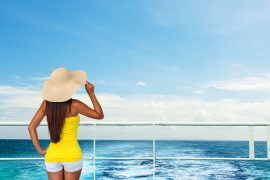 If, however, you are looking to cruise in a hot climate, I would personally choose for MSC Seaview. Meals are included in the main dining rooms and buffet restaurant only. 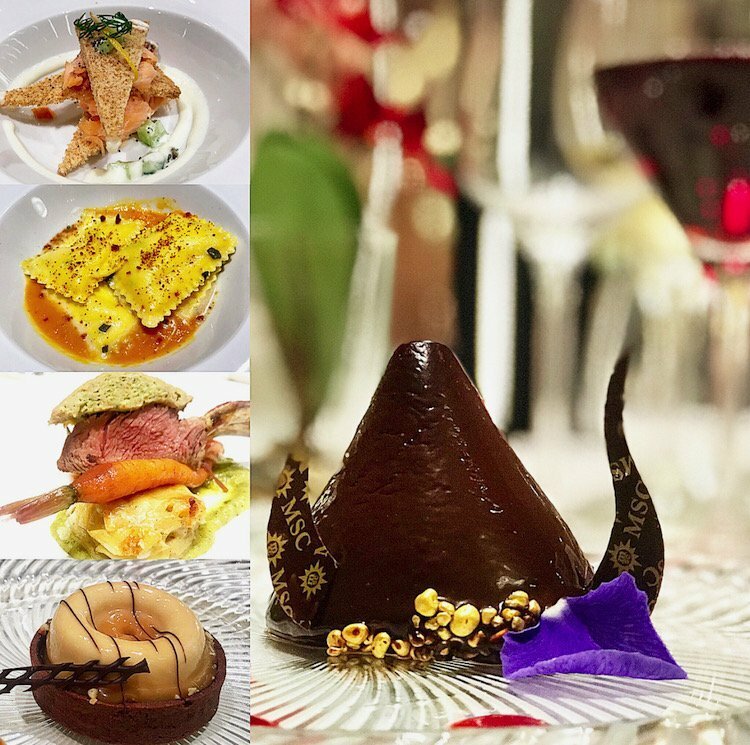 I loved the speciality dining restaurants and I would highly recommend you try them, so pre book a dining package before you go. I would recommend pre-booking a drinks package too. 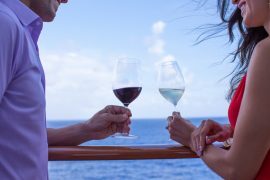 MSC have a variety of drinks packages and they are better value than paying for each drink individually on board. There are also extra charges for WiFi and games in the Sportsplex, so it may be cheaper to pre purchase packages on these too. 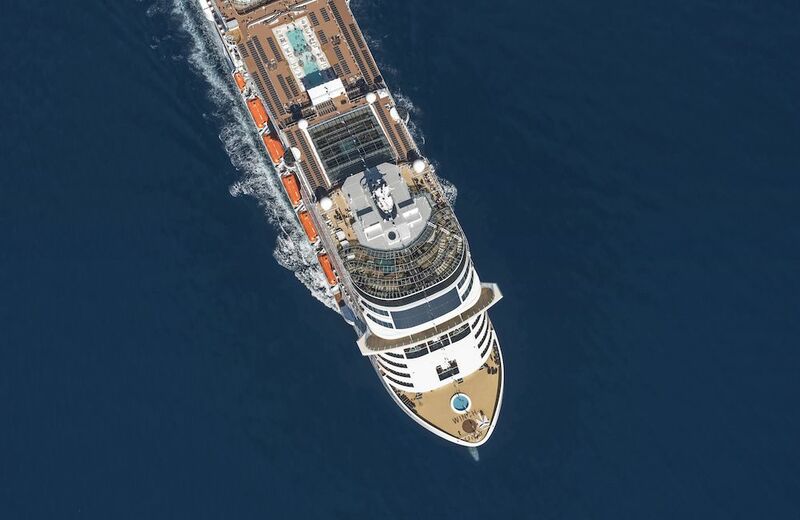 MSC Bellissima is cruising the Mediterranean during Summer 2019 and will move to cruise the Emirates during the winter season 2019 / 2020. See msccruises.ie for more information or your local travel agent. 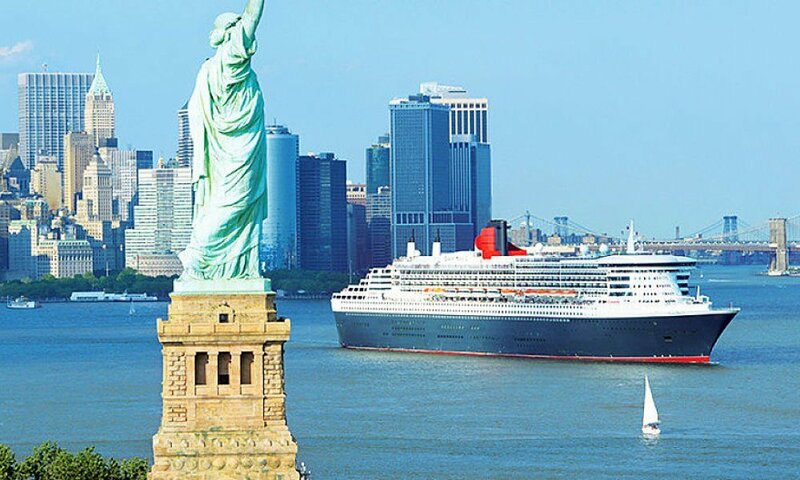 Like cruise holidays? 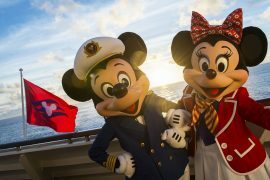 See more cruise reviews and cruise deals here.